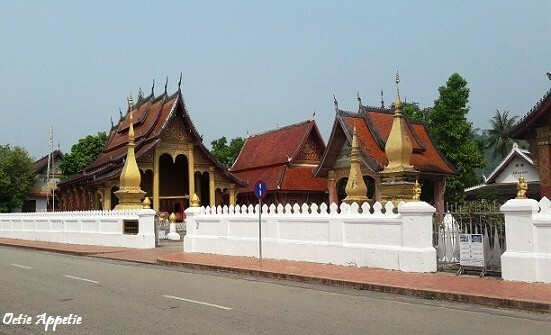 There are temples after temples here in Luang Prabang. However, there are a few most famous temples that you can't miss while you were here. Such as Wat Mahathat, That Chomsi, Royal Temple and Wat Xieng Thong. These temples are located in the city that can be reached by foot or Lao style taxi for more convenient option. We need to climb few hundreds steps of stairs before arriving the peak of this temple. Better to visit in the late afternoon, because this place is popular for watching sunset from the peak. Make sure to come earlier before sunset time as a lot of people are gathering there already taking the best spot to watch the sunset. 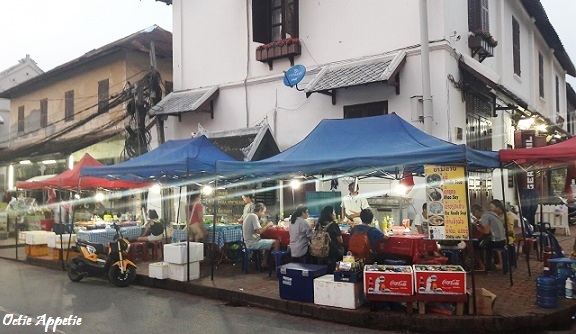 There is night market in Luang Prabang that open every night after 6 pm. So, it would be a nice walk looking at their crafts and souvenirs while digging in some of their street food delicacies as well. 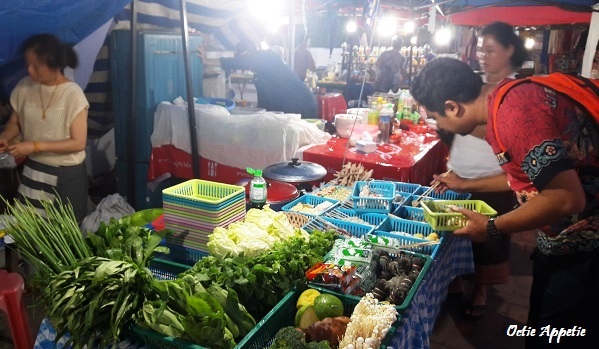 The best way is to visit That Chomsi around 4 pm and by the time you finish watching the sunset from up there just come down and the market will be there bustling already. We found this hot pot stall just in the corner of the road. They are located not so far from That Chomsi. 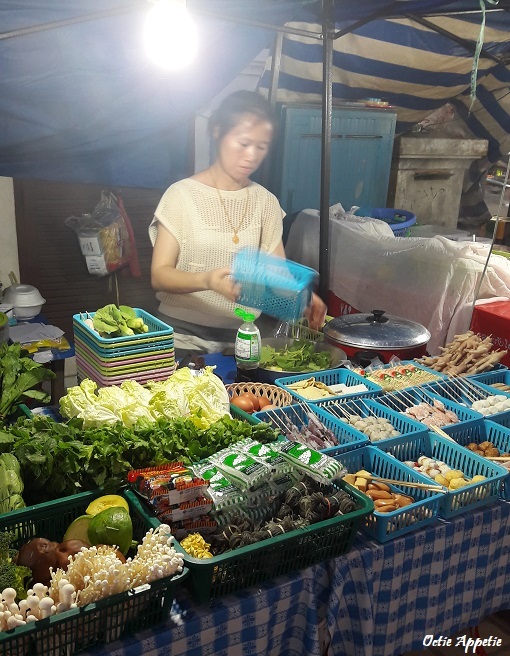 Range of fresh vegetables, fish cakes, noodle and some seafood are there for you to pick. The lady gave us a basket to fill in with all the goodies of our choice. Once you finish, the lady will cook them for you in her special broth and ding... not so long it will be ready for you to dig in with spicy homemade ma la chilli sauce. 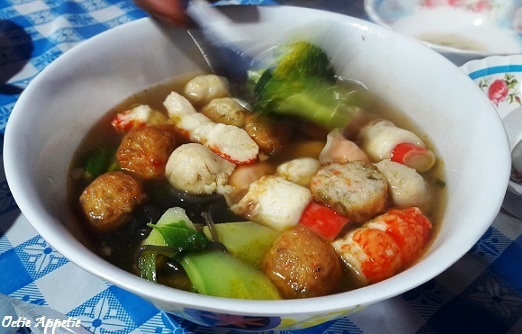 This thing is called ma la hot pot. 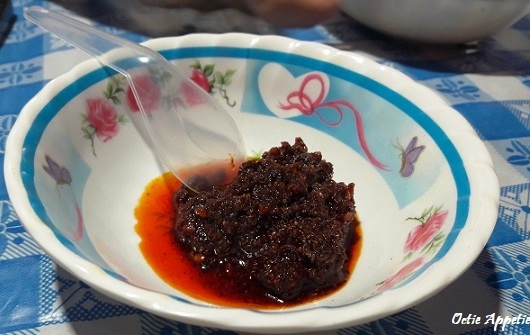 Ma la is the type of Chinese pepper that make your tounge numb. I love lots of them in my soup although we suffer from the numby tounge for a moment but they tasted absolutely delicious.